Chennai – Tirumala Tour - Ghumakkar - Inspiring travel experiences. To start with I want to thanks Mahesh Semwal ji and Manu Prakash Tyagi ji, that because of Tyagi ji post and feedback from Mahesh ji , I got this in my mind to write about Tirupati tour. For me this is not just tour, for me it is always a golden opportunity that GOD is calling me and also he is giving me a chance to visit his temple, his kingdom so frequently. I had visited Tirupati many times from Bangalore, from Delhi, from Mumbai and finally the easiest one is from Chennai. Here in this post I am not mentioning about my any particular trip. This will include combination of my experiences to visit Tirumala. e) Conducted tour ticket from APTDC which includes darshan ticket. The best one and the convenient one we found is the conducted tour by APTDC from Chennai. They offer various tour packages from different destinations like Chennai, Hyderabad, and Bangalore etc. Chennai – Tirumala conducted tour ( www.aptdc.in) – There are two APTDC offices at Chennai , one at CMBT and other at T.Nagar Barkatullah Road. We went to T. nagar office for booking our ticket. It must be our luck or destiny that we always get tickets for the desired date. We opted for Rs 1300/- per person tour (Rates has increased now to Rs 1450/- for adult and Rs 1160/- for kids). The bus departed from Chennai at 1900 hrs from T.nagar office. Nice and comfortable Volvo bus. At around 2000 hrs the bus stops at a good restaurant at Thiruvallur. We all had nice south Indian food and came back to our bus. In this package, food is not included. The morning package tour has breakfast and lunch included. Again the bus starts and at around 2300 hrs we reached Tirupati. The bus stops at Srinivasam complex, opp. R.T.C. bus stand in Tirupati. Here I am mentioning brief detail of this complex taken from website www.tirupatibalajiinfo.com . “It is located opposite to RTC bus stand, 10 minutes walk from Railway Station, Tirupati. It is a large accommodation complex with 410 rooms. There are both A/C & NON A /C rooms. The charges for AC room is Rs 400/- and Rs 600/- where as charges for non A/c ROOM IS Rs 200/-. In addition, there are 9 dormitory halls in the 1st floor of the complex to accommodate nearly 5000 Pilgrims. Those who don’t require rooms can use these spacious halls and relax. 953 lockers are available and Pilgrims staying in dormitory halls can use these lockers for keeping their personal belongings in safe-custody. Pilgrims will be provided woollen rugs, mats and locks on payment of caution deposit which is refundable. Pilgrims can reserve accommodation at Srinivasam complex 20 days in advance by sending DD’s in favour of “Executive Officer, Srinivasam complex,T.T.D, Tirupati” ,and it with a covering letter addressing to the Dy. Executive Officer, Srinivasam complex,T.T.D, Tirupati clearly specifying the date of allotment required as per requirement. After confirmation, the allotment letter will be sent to party. Pilgrims are requested to send the D.D’s as per 3 fixed tariffs only for Advance Reservation Accommodation. The party has to bring the allotment letter and approach the allotment counter at the time of taking the room. If the quota is exhausted the D.D will be returned to the party informing the same. The rooms can also be reserved through e-darshan from the T.T.D information centres, if available in their place. ROOMS WILL NOT BE ALLOTED FOR SINGLE PERSON. Sudarshan token counter (Rs 50/- & Free) is also available in Srinivasam complex itself. Pilgrims can make use of this and can plan their stay at Tirupati or Tirumala and can visit of Local temples accordingly basing on the time of darshan of LORD confirmed to them. After resting for 2hours we got ready and sharp at 0300 we were at ground floor. From this complex we boarded another bus to reach Tirumala. Our entire luggage we kept in our Chennai Volvo bus excluding valuables. The bus reaches 0400 hrs at Tirumala (i.e main Tirupati Balaji temple). Guide then takes us to the mini shopping complex near the temple. They have few designated shop where we all can deposits our footwear (this also is taken care by guide) in a one big jute bag and also deposits our mobile and any bags at the shop. 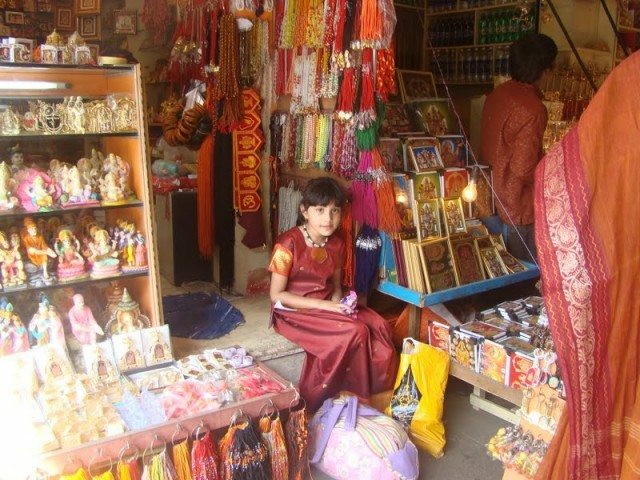 The shopkeeper gives us token for each of our belonging which can be collected later after darshan. The guide then takes all the passengers to the main temple complex. Here generally the problem comes to senior people as they can’t walk so fast. In the main complex walking for almost 50 m, we have to get down at staircase and then again walk for another 100 m and then again climbing another staircase we reach at the entrance of Sheeghra darshan(Quick Darshan). As this is an APTDC tour , we never had any problem in entering this queue as guide informs to the security the number of persons entering in the queue .Before entering the queue we again got instruction from guide to reach back to the same shop by 0600 hrs. At 0430 hrs we entered in the queue, and then passing through all the queue systems like staircase, small bridge, walkways we reached inside the main temple. Here at the end all gets mixed (special, sheeghra ,normal etc).We got glimpse of the LORD Balaji for just few seconds and zoom…you are out. The security person throws you out. I believe in one thing whenever we go to Tirupati is that you don’t see god, GOD sees you that you have come ( Aap bhagwaan ko dekhte nahi ho , bhagwaan aap ko dekh lete hai ki unke bhakt aaye hai darshan ke liye). After finishing this darshan we come out of the temple, put our offerings in the Hundi and are out of temple at 0530 hrs. By 0600 hrs we are back at the shopping complex. By this time, few tea shops get opened and one can have tea, coffee etc. The bus starts again at 0600 hrs and at 0700 Hrs we are back at Sreenivasam complex. Here Guide asks all of us to take the breakfast at the complex canteen and by 0800 hrs we will return from Tirupati. Again at the canteen, you will get all varieties of south Indian breakfast as well as Juices. Getting a place to sit is a big question in this canteen as it is always so crowded that one member has to be in cash counter line, another should search for chairs and table where one can sit. Sharp at 0800 hrs we again starts from Sreenivasam complex and in half an hour reaches Padmavati temple (http://www.tirumala.org/ptv_tpt_tiruchanoor.htm). Guide gives us one hour for this temple and then we proceeds to our next point Srikalahasti temple (www.srikalahastitemple.com). “Srikalahasti temple is a holy place near Tirupati in the Indian state of Andhra Pradesh.It is located on the banks of the river Swarnamukhi, a tributary of the river Pennar. Site where Kannappa, one of the 63 Saivite Nayanars, was ready to offer both his eyes to cover blood flowing from the Siva linga before the Lord Siva stopped him and granted mukti. This temple was constructed in the 12th century by the Chola king, Rajarajendra. Vayu incarnated as Lord Shiva and is worshipped as Kalahasteeswara. This temple’s main idol is the vayu (air) linga. By 1200 hrs we finish having darshan at Srikalahasti also. And then bus takes us to AP Tourism food court near to Srikalahasti where all passengers can have lunch. After this Guide says good bye to us and we are back in our bus .We again starts at around 1300 hrs and by 1700 hrs we are back in Chennai. – APTDC Tour, that’s why very safe and secure. – If you are visiting first time, then you can’t visit all the temples of Tirumala and Tirupati. – It is very quick tour, some people doesn’t prefer being dominated by Guide. – Waking up at 0300 hrs is a problem, especially if you are accompanied by kids. Now, for those who wants to spend more time at Tirupati; If you have a plan to visit Tirupati, do your planning very well in advance i.e first of all confirmed rail tickets (Nearest Railway Station for long distance train to Tirupati is Renigunta) , second accommodation booking (http://www.tirumala.org/acco_tm.htm) and third is the Darshan and Seva ticket. When we were visiting from Delhi to Tirupati, we booked accommodation and Darshan ticket at the TTD counter at Delhi. But, we do not get Quick darshan ticket at this counter. The only darshan tickets available at these counter are Sudarshan ticket (Normal) and for which each and every member has to be at sales counter for biometric impression. There are almost 7- 8 e-darshan counter at various places across India where one can book accommodation, sevas and buy sudarshan ticket (http://www.tirumala.org/Advance%20Booking.htm). One can always check whether their city have these counters. As regards to accommodation, try choosing a guest house which is very close to the temple. When we went from Mumbai we got accommodation in Ram Bagheecha guest house which was just next to the temple and my family member did darshan 3 times in a single day. As regards to visiting this temple, there are no particular months. Whenever GOD calls you , you will reach at that time easily. Still try to avoid Bramhotsavam period (October months with particular dates). The best part of Tirumala Balaji temple is that one can actually see the money is really getting utilised for the development of the temple, for the convenience of the Pilgrims etc. There are lots and lots of accommodation facilities right from free to the paid facilities. Also if you are visiting for the first time please go through www.tirumala.org. This website will really help you to plan your trip to Tirumala in a very efficient manner. Alternatively one can also visit Mukesh Bhalse ji’s post on Ghumakkar – Tirupati. Today must be a special day. In the morning, Vishal has given us darshan of the Grishneshwar Jyotirlinga. In the evening, we have Abhee giving us a sheegra darshan of Lord Venkateswara and the darshan of Lord Shiva too in his manifestation as a Vayulinga. Srikalahasti is a hugely important Shaivite shrine where there is no idol; He manifest himself as the invisible Vayu (air). There is a spiral of lamps around the Vayulingam and the lamps flicker all the time even though the air inside the sanctum sanctorum is still. Abhee, you have provided us with a hugely useful and practical guide for first time visitors to Tirumala. Until one gets to know the place better, it is better to opt for a guided tour. Undoubtedly, the APTDC does a good job of conducting the tour. However, one will miss out on the predawn ambience of Tirumala, which is supercharged with spiritual vibrations and most devotees find irresistible. Besides, there are several places worth visiting like the Shilatoranam, a geological wonder with spiritual significance. Thanks once again for the darshan of the Bhooloka Vaikuntham. How come most ghumakkars turned to religion all on a sudden? Thanks DL. Your comments always gives us loads of information and encouragement.Thanks again. Thanks a lot Abhee !!!!! Post with full of information. Only missed pictures. nice post and lots of info about mighty Thirumala. Details, including weblinks and implications etc that you have covered here will certainly be helpful to any future visitos. Enjoy travelling and writing about it !! Very nice post and complete travel guide to the Gods. You are one of a rare … many people here write posts to make the announcement to the world that they visited some place. Wonderful post with more & more information about Tirupati Balaji. This post will help us during my tour to Tirumala…. Thanks for sharing such a more informative post. I have never been to Tirupati before. This is a ready reckoner to plan my visit in the future. Thanks. Indeed a ready recokner, a guide and a kunji for Tirumala. I guess just like Vaishno Devi Trust, this one is another example of a super management. The truth is that in India, a LOT of us go to temples, a lot lot and at most of the places, visiting pilgrims have to sustain prolonged hardships for darshan and for moving around. This is true for Jyotirlings as well. I was very excited to visit the Jyotirling in Baidhyanath and when I got an opportunity, I very readily went all the way but once there, it was a big let down. With flith everywhere, no good access, poor infrastructure and what not. Places like Tirumala and efforts like these needs to be much more celebrated, talked upon and shared. May be gradually every pilgrim place is as accessible as these are. Insha Allah. chennai to tirupati car rentals. I’m here again. All your posts are really very informative, and down to earth type. We are planning to take a combined trip to Rameswaram, Kanyakumari and Madurai. When are you planning to visit Kanyakumari and Madurai ? Until then, I think we should go to Puri. Thanks Vipin ji .All these comments encourages me a lot to travel more and to share more. Hope very soon I will visit Madurai (Nothing in plan as of now ). Bipin ji ,Sorry for spelling mistake. Your piece was very inspiring as I prepared to go for my first to Tirupati last week from Malaysia. I took the same package as you did but things changed so much now. The bus left at 7.30pm and reached Tirupati at past midnight. 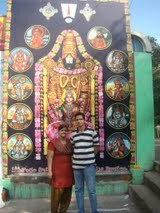 We started off again at 4am but went to Padmavathi Thayar temple and queued for the Darshan counter to open at 5.30am. After done there, the coach bus took us to Tirupati bus stand and we changed to the rundown local bus which takes us up to Tirumala. The guide made sure we ate at his ‘preferred shop’ #78 and kept our shoes and phones at another shop. We waited for an hour and half near the Sheeghra Darshan entrance due to no approval for entry. Once approved, we went in but disappointingly there were about 300 people in front of us. We had to wait in line for nearly 2 hours before seeing HIM. 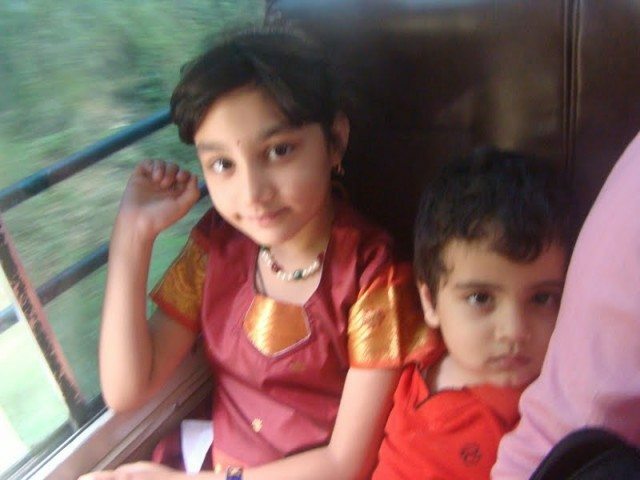 After that we returned back to Tirupati and back to Chennai. Note that there was no Kalahasthi temple scheduled in for this trip as well. I am so sorry to know all about change in the tour schedule.Now after reading your comment even I have to think twice before taking the tour whenever I will be back in India to visit Tirupati. What is “Sewa” and it’s charges?? there is two places for accommodation trimala and triputi? pls suggest where should i book?? I would advice you to take accommodation at Tirumala i.e close to temple.Humein wah jagah bahut acchi lagti hai.mandir ke paas vatavaran bahut hi acchha rehta hai. Hundi is like a pot jaha pe aap bhagwaan ke liye paise chada sakte hai.iske picche ek story hai. Aapko bahut saare details niche likhi website pe mil jayenge.aap ise check kar le. Aap apna plan tay kijiye aur kuch bhi information ki zaroorat padti hai to humein jaroor likhiye.mai jitna mujhe pata hai uske hisab se aapko puri information dungi. I have planned my tour as i m going from Kolkata to tirupati through direct train which will reach tirupati @11:30 @night. So pls suggest where should i book my accommodation so that it can easy for me. or what is the difference between normal darshan or sewa? if i don’t book any sewa then? i saw online for sudarshan there is a ticket Rs.50, so should i book this online or what will be the benefit of this online pre-booking? Govinda ! Govinda ! Govinda !A great blessing ! It really helps to be a part of your spiritual journey !